All the luxury of Aria DeLuxe II but also provides fast and effortless single-pedal foot flush design. Beautiful all china bowl for added style. Includes 1 year manufacturer warranty.Performance and style suited for vehicles of distinction. 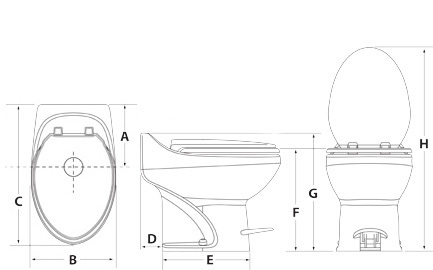 Every Thetford toilet - from the finest china to the most economical - has thoughtful ergonomic features so you're assured of a comfortable, elegant and trouble-free toilet. 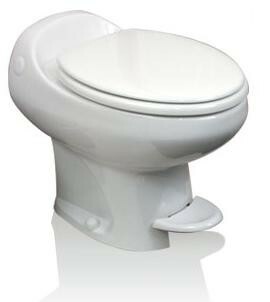 Add water-saving features and ease of use, and you see why Thetford is the industry leader.